New Users … Start Here! 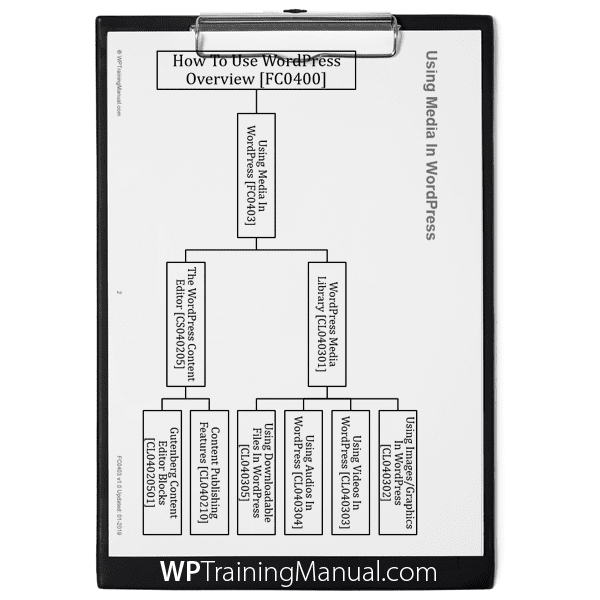 This section of the ‘How To Use WordPress’ manual explains how to add media and media-based content in WordPress. See the product description section below for more information about this item. 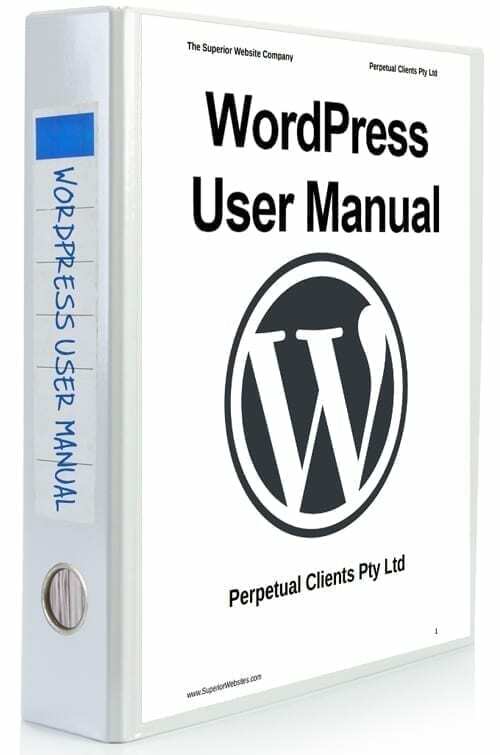 The ‘WordPress User Manual’ (‘How To Use WordPress’ module) includes over 500+ pages of searchable and printable documentation on how to use WordPress. For more information or to purchase this product, go here or visit our store. We offer a 30-day, 100% 'No Risk Money-Back' Guarantee. Purchases are processed using secure servers. We do not store your payment account details. Orders can be accessed immediately after purchase from your account area. Currency conversions are estimated and should only be used for informational purposes. Prices are calculated in $USD.